Summer means out doors activities – which can include recreation or taking care of outdoor maintenance of all sorts on a variety of scales. Whether you are hosting a family reunion or taking care of a construction job, one of the concerns needs to be sanitation for the people participating. That is where Superior Septic Services, LLC., can help with portable waste holding tanks for RV or construction near Sultan. Being out on the job or having a gathering in a remote location can present a variety of challenges, but one of the biggest is sanitation. One of the best ways to handle it is to have a portable building with familiar facilities that empty into a portable waste holding tank. We can bring out the tank, hook it up to your mobile facility – whether it is a portable office building or an RV – and when the tank is full, we can swap it out for a fresh one. If you expect a large gathering, you might plan to have two or even three tanks on hand to help make it through the day. It is the responsible, ecological way to handle human waste where only portable facilities are possible. We can also deliver tanks of fresh, potable water at the same time as the waste water tanks. 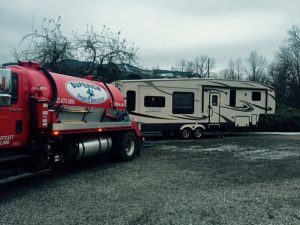 Call Superior Septic Services, LLC, at (425)905-2485 to learn more about portable waste holding tanks for RV or construction near Sultan. Summer is a great time for all sorts of outdoor activities from baseball and soccer to major construction. Portable waste holding tanks can be the answer to your sanitation needs for the people who will attend the event or take care of the construction.